CHINE – Changgou - During the process of building the Beijing Cultural Silicon Valley, a large number of tombs of Tang Dynasty were found in Changgou township, southwest Beijing. 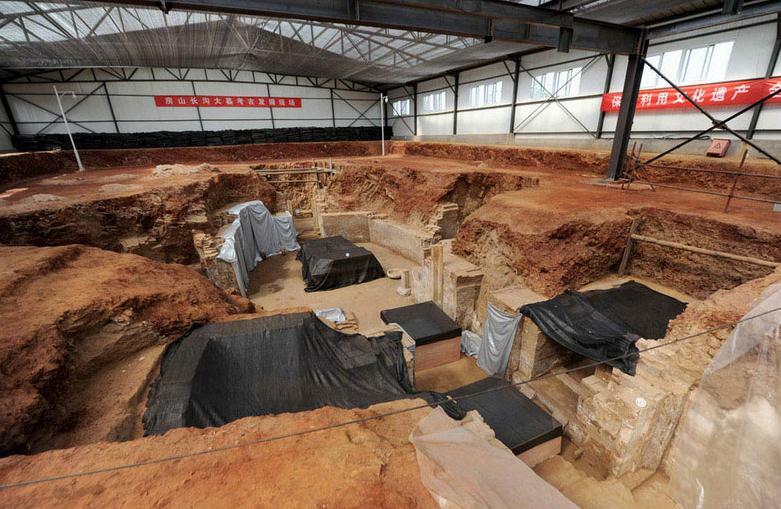 With the approval of the State Administration of Cultural Heritage, from August 2012 to June 2013, the Cultural Heritage Research Institution of Beijing excavated the tombs and carried out on-site protection of the large numbers of murals and stone relics found. This has made a good start for long-time preservation and follow-up works such as preservation, display and planning. Currently, preservation and excavation works are underway. USA – Virginia Beach - The Williamsburg-based firm identified a late 17th century Colonial homestead in Marshview Park in 2011 after the city acquired the land from the Navy. The initial survey exposed a concentration of artifacts in a small area of the nearly 100-acre park off Marshview Drive. Prosperous tobacco planters owned the property in the early 1700s, according to deeds and wills. Thomas Reynolds Walker, a prominent Princess Anne County planter who later served as colonel of the local militia in the Revolutionary War, bought it in 1766. Archaeologist Tony Smith said it's possible that tenant farmers, indentured servants or slaves who worked the land for an absentee owner may have inhabited the site. In one test area, where the soil was mottled, Smith said he thinks they may have found a house post. The excavation focused on the Colonial period, but in their search, archaeologists discovered an Indian spearhead from the Archaic period, about 3000 B.C. They also found a French gun flint, a clay tobacco pipe stem and fragments of English ceramic tableware. USA – Guadalupe -Nipomo Dunes - Archaeologists continue to dig up decades of movie history under Central Coast sand dunes. In its latest excavation, the Guadalupe-Nipomo Dunes Center unveiled its latest artifacts from the Lost City of DeMille from Cecil B. DeMille's 1923 film The Ten Commandments. It's the only surviving movie set from that era. We went to that community and found out how these unearthed artifacts are preserving Guadalupe's mark in cinema history. Underneath the oil cans and socket wrenches, Perry dusts off a piece of cinema history. 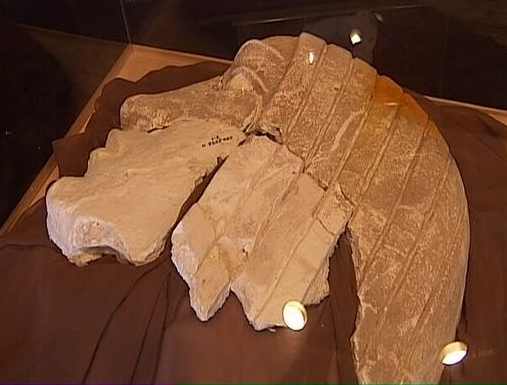 He has several of these plaster remnants from the set of Cecille B. DeMille's epic movie The Ten Commandments. More than 90 years of movie making history took place at the dunes, from Pirates of the Caribbean II to G.I. Jane, but it was the movie The Ten Commandments that made the dunes popular with movie buffs. Not the movie itself, but what's buried underneath the sand. Doug Jenzen is the Executive Director for the Guadalupe-Nipomo Dunes Center. 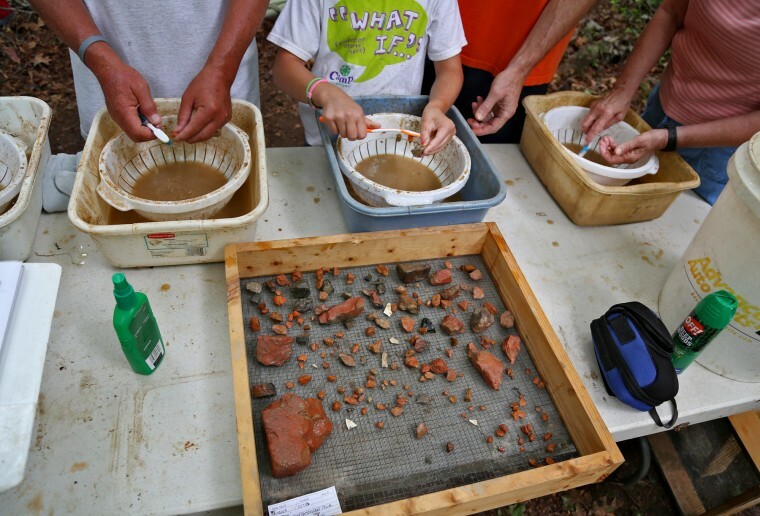 "Typically when you think of archaeology you think of classical archaeology like Greece and Egypt," said Jenzen. He says no one knows for sure why DeMille buried his set. "He ran out of money and didn't want to haul all the materials of this massive movie set back to Los Angeles. The second theory is he buried it because he didn't want anyone else to get a hold of it," said Jenzen. TURQUIE – Karakeçili - The excavations that have been carried out by a Japanese group in the town of Karakeçili in the northwestern province of Kırıkkale since 2009 are continuing. A 3,500-year-old construction from the Hittite period has been unearthed during the excavations. During a recent visit to the area, Kırıkkale Governor Ali Kolat and a committee also visited the Çeşnigir Bridge, constructed by the Köprüköyü Municipality. Kolat said that they would protect the 3500-year-old construction, adding, “Karakeçili is home to a long history. Çeşnigir Bridge belongs to the Seljuk era. We are going to make our city known in terms of tourism by enlightening others about these historical artifacts.” Matsumura said that the area was one of the biggest cities of the Hittite civilization. “Kızılırmak was a way for merchandising. I believe we are going to have worthy acquisitions as a consequence of these excavations,” he added.